Finding professional commercial roofing contractors to handle your construction project in Columbia or any other surrounding South Carolina community is as easy as turning to Arango Insulation. 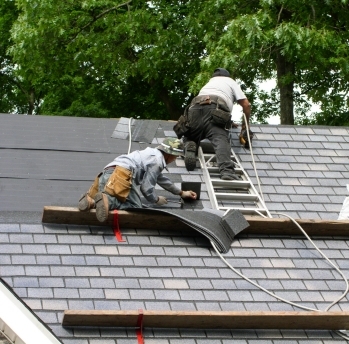 While we may be most known for our commercial and residential insulation services, we are also a full-service commercial roofing company, and to every roofing project we undertake, we apply the same dedication to superior products, peerless craftsmanship, and outstanding customer service that earned us our stellar reputation in the insulation industry. Because of this commitment to excellence, you can trust that when you choose Arango Insulation as your commercial roofing contractor, you are hiring the best. At Arango Insulation, we specialize in installing roofs on large-scale, multi-resident commercial dwellings, meaning we are ideally suited to working on assisted-living facilities, apartment buildings, townhome and condominium complexes, or other such structures. Each of our commercial roofing teams works under the close supervision of one of our expert project managers who ensures that all work is completed in a timely manner and to your precise specifications. As a result, you can rest assured that the roof we install on your Columbia, SC, structure will be well-built and your construction project will stay on schedule. For more information on the advantages of hiring Arango Insulation as the commercial roofing contractors for your Columbia, SC, area building project, contact us today.